Acne patients may have significant quality-of-life (QoL) impairment, therefore assessment of health-related QoL (HRQoL) in acne patients is recommended by several national and international guidelines as an integral part of acne management. The inclusion of QoL assessment in core outcome sets is now a popular idea. Several acne-specific QoL questionnaires are available but none cover all topics presented in other instruments. The impact of acne on different aspects of QoL may vary between patients from different age groups. 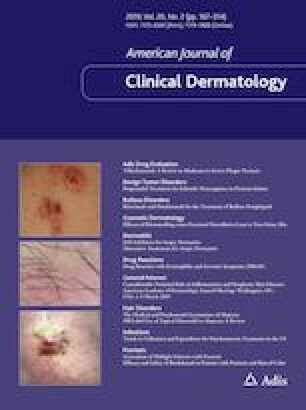 The European Academy of Dermatology and Venereology Task Force on Quality of Life and Patient Oriented Outcomes has initiated a study on the relevance of the different QoL topics in acne patients. Detailed recommendations on treatment goals and changes of treatment approaches based on a validated banding system and a minimal clinically important difference in HRQoL questionnaires (such as the Dermatology Life Quality Index) may be an important and promising approach. Servando Marron, Pavel Chernyshov and Lucia Tomas-Aragones have no conflicts of interest to declare.